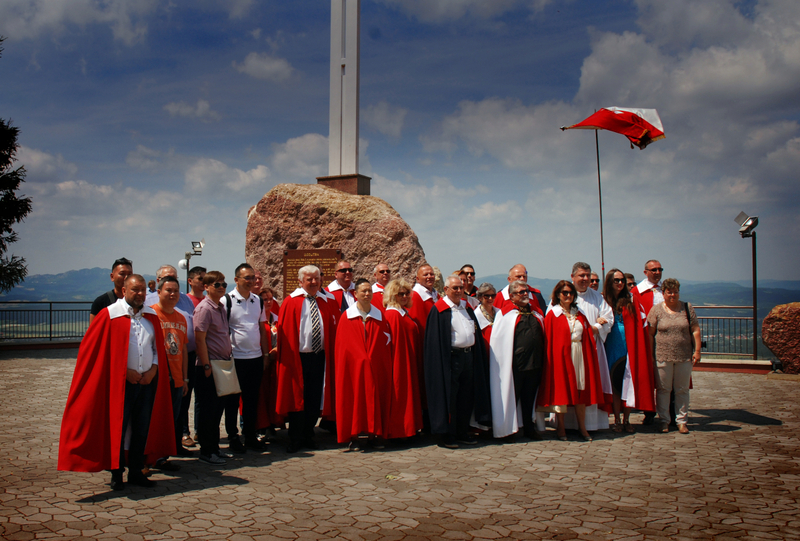 The next day – after the Knighthood Ceremony in Bojnice – was the 24th of June, the day of John, celebration of the denominator of the Sovereign Order of Saint John of Jerusalem, Knights of Malta, Federation of the Autonomous Priories (KMFAP). 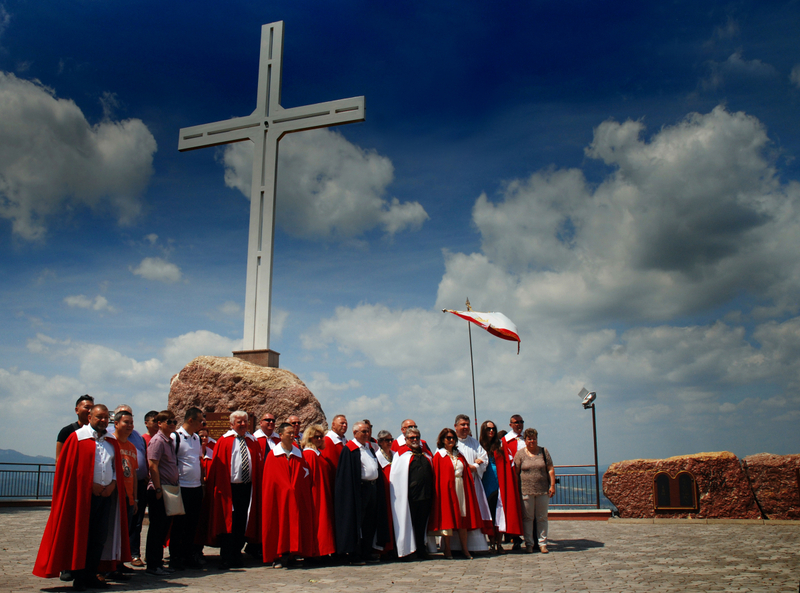 Therefore, we thought to organise a visit to Ladce, the pilgrimage place of our Order, which is about a two-hour drive from Bojnice, Slovakia. But first we drove to the Ilava-Klobusice Children's Home (Detsky Domov). An important part of the humanitarian activities of KMFAP is the “International Orphan Program”, founded by one of our African fellow-knight. We decided that the Order will provide financial support for the operation of the institution, as well as for the state-nurtured children and young people living in this high-quality Slovakian institution for children. At the Gala Dinner of the Knighthood Ceremony the day before, some of our Knights from Slovakia, Hong Kong and Singapore also joined this initiative, so the amount received at the Slovak charity concert increased with the additional offerings to about 5000.- Euro. The donation and a large LED television were handed over personally, where we also had the opportunity to meet some children. Expressing thanks to the gift, the director of the institution said that with this amount, the Knights of Malta and its members contributed greatly to the costs of children’s summer camps. At that time, the Grand Master announced that on behalf of the Portuguese Grand Priory of KMFAP, 3 children from the institution will be hosted free of charge this summer at a Children's Holiday Resort in Portugal for a 2-week program, the value of this offer is minimum 1500.- EUR. Saying goodbye to the children, we continued our journey to Ladce, where the truly international “delegation” of knights and dames was welcomed by Sir Anton Barcík, our fellow knight, with whose initiative and generous financial support the Divine Mercy Stone Sanctuary – the pilgrimage place of KMFAP was built at the top of the hill over Ladce: the chapel, the crossroads, and the vast cross visible from far. On the occasion of the National Day of KMFAP a Holy Mass took place here, celebrated by Sir Mgr. Pavol Zemko, Magisterial chaplain and Sir Martin Klement. Prince José, Grand Master of the Knights of Malta greeted those present at the feast of the Order, and emphasized in his speech that the denominator of KMFAP is not actually St. John the Baptist, but the Saint John the Merciful of Jerusalem, born in Cyprus, Patriarch of Alexandria, the generous helper of the poor and needy, who lived between 556-619. His name came into contact with Jerusalem, when the Sassanids sacked Jerusalem in 614. Then John arose to help the city by sending large supplies of food and a substantial amount of money to the fleeing Christians. But eventually the Persians occupied Alexandria, and John himself was forced to flee to his native country, Cyprus, where he died. A relic of John the Merciful – through Turkish mediation – was sent to King Matthias Corvinus of Hungary, who placed it in his private Royal Chapel in Buda Castle. Now his body lies in the St. John the Merciful Chapel in the St. Martin’s Cathedral (former coronation church) in Bratislava, Slovakia. It is scarcely known that he is also very respected in Casarano, Italy (San Giovanni Elemosinario di Geruzalemme). 23rd January – the day of his death – was chosen as his day of celebration. The grand feast in Ladce was followed by a gala lunch, for which we would like to express our thanks to Sir Anton, our host, on behalf of all the guests and participants.